László József Bíró from Hungary invented the first ballpoint pen. The Chief Editor of a newspaper was watching the rotation rollers in the printing shop when the idea of a pen, which writes with ink but does not smear, came to him. He developed a writing implement which was closed by a ball at the tip. This could apply a dosed amount of viscous, quick-drying paste on the paper. 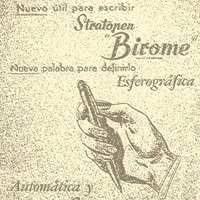 In 1938 he received the patent for the ballpoint pen which is one of the most important innovations of the 20th century. 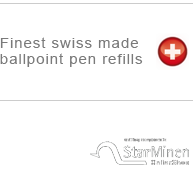 StarMinen was founded just 8 years after the invention of the ballpoint pen under the name of NOVA as one of the first ballpoint pen refill manufacturers in Northern Germany with a majority holding by a Swiss company. StarMinen can therefore look back over one of the longest traditions in this sector. In 1959 the partners separated and the company was relocated nearer to the Swiss border in Konstanz. NOVA was liquidated in 1963 for license reasons. Some of the employees then founded JUWEL Schreibgeräte which became StarMinen Schreibgeräte in 1968, again for license reasons. 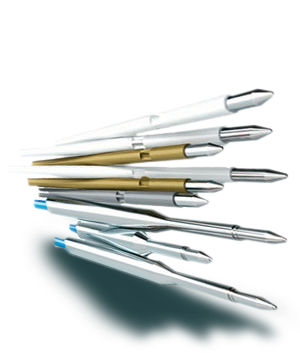 Because of their increasing market importance as a ballpoint pen refill manufacturer, the company was allowed to call itself Star-Minen-Werk from 1981 onwards. In 1998 the company was taken over by highly qualified, managerial staff of the company with long years of experience. The global dedication, high quality standards and innovative orientation of the company has made StarMinen one of the world's leading refill producers today.